Great location close to campus. Had a great time. You can walk to the football stadium. Great place with plenty of room. Hosts were awesome taking care of us. Highly recommend. We loved having you and your friends. This condo is all about location. Glad we could accommodate your extra night and we hope that you and your friends and family have arrived safely home and that your will not be adversely affected by Hurricane Florence or the ensuing floods. Please come back to see us. Look forward to meeting y’all at some point. Tell your friends who have children here to tell the students we are here if they have an emergency and need a contact in oxford. You have my number and email. Just wish the game had not been a blow out!!!!!!!! Location is great...easy access to Ole Miss campus. Condo was very nice. Will stay there again. 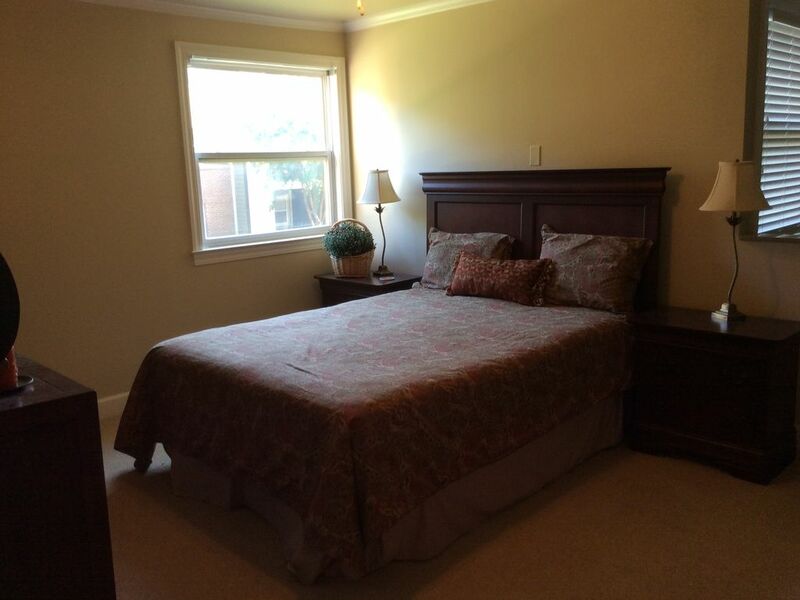 This condo is walking distance to the Ole Miss campus. Especially close to events for football, baseball, basketball, tennis and the Ford Center. All three bedrooms were comfortable. The living room was spacious and very easy to visit with each other. The owners were so nice and helpful before and after our stay. We will definitely stay again.